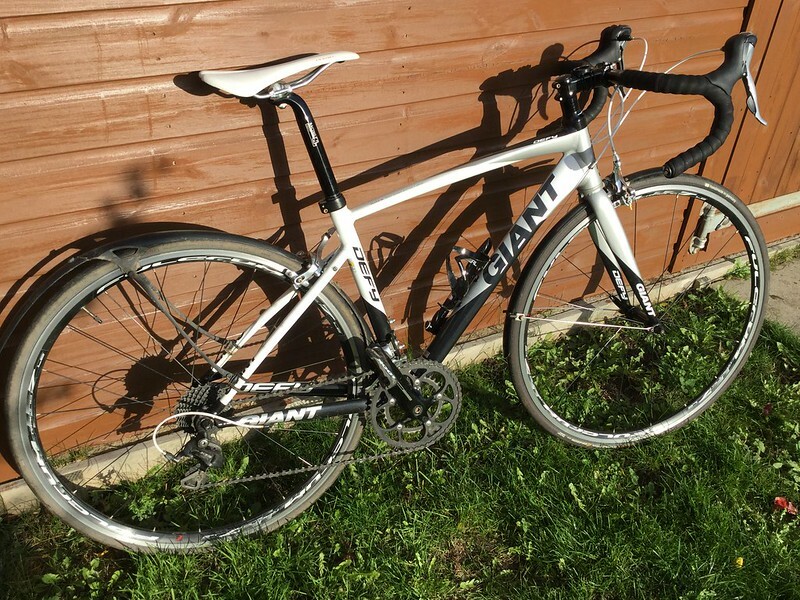 As I've converted my old summer bike to a winter steed, I'm looking to sell my Giant Defy. FSA Gossamer Chainset; Tiagra (10spd) shifters, front mech and brakes; 105 rear mech and Fulcrum racing 7 wheels and full mudguards. Size small so will fit somebody up to about 5 foot 8. In pretty good condition and has been well looked after/cleaned after almost every ride. Only the frame, forks and seat post are the original parts of the bike. Would suit somebody looking for a winter bike or a youth rider looking for a starter bike.